The most expensive mistake that most mortgage borrowers make is staying on the standard variable rate (SVR) mortgage after their introductory rate (whether tracker or fixed) has expired. With SVR mortgages, the provider effectively decides its own interest rates, and they are invariably high: it is both how mortgage lenders make their profits, and how they pay for the cheap introductory deals which lure customers in the first place. In effect, the homeowners who have SVR mortgages are paying more than they need to each month and subsidise those who shop around every few years to get the best deal. The only way to stop subsidising other homeowners is either to get one of those rare life-long deals, or to be one of the homeowners who shop around regularly for mortgage best buys. It’s tedious, but is probably the biggest saving you can make. Interest rates are at an historic low, which means there will never be a better time to get your mortgage down by paying more than your scheduled monthly payments by as much as you can afford to. By paying off more of your mortgage now, you will be in a better position when interest rates do start to rise, and the monthly payments start to hurt. Low interest rates mean both that your monthly mortgage interest payments are less, leaving you with more flexibility to pay off the capital, and that interest rates on savings accounts are pathetically low. Also, you pay tax on interest earned on your savings, while your mortgage payments must be paid out of post-tax income, making it an even better deal to pay off the mortgage rather than save. Check with your lender first that there aren’t any penalties to overpaying. Make sure there aren’t any other expensive loans or credit cards that need dealing with first, and once you have a rainy day fund for any problems, you can start using spare income to pay off your mortgage. If the interest on your mortgage is calculated annually, you could still be paying interest on the parts of the loan you have paid off for almost a year after you have repaid it. Getting customers to pay interest on loans they have repaid is an outrageous practice and should be stopped – but some mortgage lenders still practise it. With daily interest calculation, every payment of capital you make will almost immediately start to reduce the interest payments you have to make. 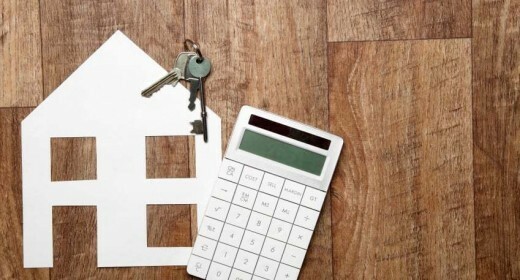 Over the term of a mortgage, mortgages with daily interest calculation will cost you thousands of pounds less than those with annual interest calculation. Mortgage lenders are likely to be rather coy about calculating interest on an annual basis, so you will probably have to ask them outright. If you paid a deposit of less than 20 percent, you might have been sold private mortgage insurance (PMI), which can cost thousands on top of your mortgage each year. But once you have paid off 20% of the mortgage, you can drop your PMI. You should find this out, because lenders won’t tell you, and you’ll have to ask them to cancel the insurance. If you don’t have a steady income but you are confident of a lump sum, such as an inheritance or a few big bonuses, that will allow you to pay off the mortgage in a few large payments in the future, you could switch to an interest-only deal. These mortgages are not as readily available as they once were however and you will have to meet certain criteria in order to access one including pretty steep income requirements and having a considerable amount of equity in your home. But beware – taking an interest only mortgage does not mean you don’t have to repay it eventually, and without a plan to pay off your mortgage you might end up having to sell your home. This will reduce the monthly payments for all but interest-only mortgages. The downside is that, it does mean you pay more interest in the long run. However you can still overpay if you are ever able to and potentially pay the whole thing back over the original time period. If you do need to take more time, or spend a few months paying a bit less, it won’t be a problem for your lender. Is your lender offering the cheapest rate? You may have to pay your existing lender administration fees and any early redemption penalties may apply, but you could still save money by switching mortgage providers. Taking out a mortgage is one time when it really is worth while spending extra effort shopping around as much as possible – there are thousands of deals out there which change all the time, and you may easily be able to save a hundred or two hundred pounds each month. Need fee-free advice today? Speak to an independent mortgage advisor.